Astigmatism is a common condition affecting thousands of people in the UK. While traditional treatments can successfully resolve it, patients are increasingly looking for a permanent and cosmetically pleasing solution. For some individuals, Implantable Contact Lenses are the ideal answer. 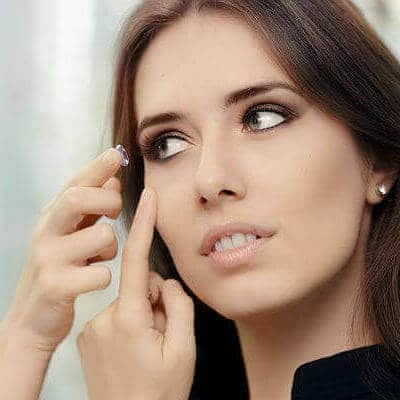 Our blog today discusses astigmatism, the various treatments on offer, and the ways in which Implantable Contact Lenses could help you. Astigmatism can have a number of different causes – many people are born with it, and others develop it through their lifestyle habits (staring at screens and bad posture have both been linked with the disease). It is caused by an abnormal cornea, which is more oval in shape rather than the usual spherical appearance. This means that light does not focus properly on the retina. 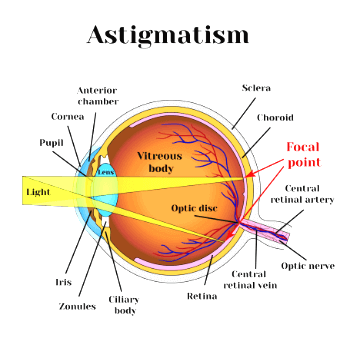 Mixed Astigmatism – Both short and long sighted Astigmatism in the same eye. Mild cases may not require any form of treatment, but for other people astigmatism can have a severe impact on their lives. Luckily, there are a variety of options to permanently resolve the problems. Until the last decade, the condition was mainly treated by using glasses or wearing temporary contact lenses. Both of these solutions are effective and lead to eyesight correction. Hard contact lenses tend to be better than soft lenses as they create an even, smooth surface. In contrast, soft lenses do not mould as well to the eye, which can cause future issues for astigmatism patients. 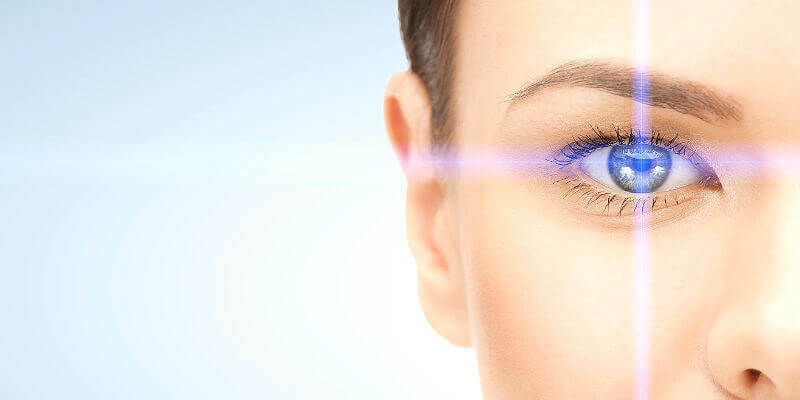 Laser Eye Surgery permanently changes the shape of the cornea, and can also successfully treat astigmatism. It has an excellent safety record and success rate. For those people that are not good laser candidates, Implantable Contact Lenses are another option to explore. Having been approved since 1993, ICL’s also have a long and proven medical history in humans. A popular eye correction method in the US Army, the technique is increasingly being used by people looking for a permanent alternative to glasses or daily contact lenses. Toric Visian lenses have been specifically designed to correct astigmatism up to a – 4.00 prescription, and here at AVC, we were the first clinic in the UK to use them. They are made from collamer, a bio-compatible lens material that is implanted in front of the natural eye lens, and works in the same way as regular contact lenses, by changing the way the light focuses on the retina. This one-off operation eliminates the daily hassle and time commitment of temporary contact lenses, and is much more aesthetically pleasing than glasses. The ideal candidate for permanent lenses are people who have severe long sightedness or short sighted combined with astigmatism, as traditionally the only option available to such patients would have been thick spectacles. However, a range of other individuals are also suitable, such as those people who would rather not undergo laser eye surgery. Visian ICL is the only Implantable contact lens approved by FDA and also can correct all three types of Astigmatism. The only true way to assess whether implantable contact lenses could help you is to book a consultation. Astigmatism usually co-exists with short sightedness or long sightedness, so careful examination combined with your own personal choices will dictate which solution ultimately suits you the best.